As you know, I love ferns! And I also love to add eucalyptus to botanical and floral arrangements. So when it came time to developing our new frosted paper flower kits, I knew I needed a DIY project that combined both of these plants. 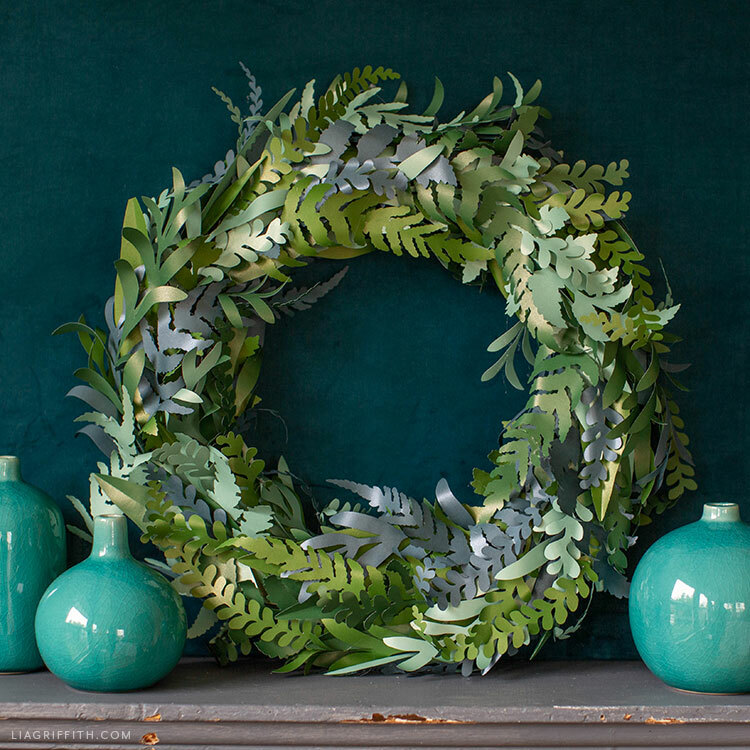 If you don’t have a cutting machine or you don’t feel like cutting by hand, make sure to check out our frosted paper fern and eucalyptus wreath kit. You can find this wreath kit in our online shop. Or check out Amazon! 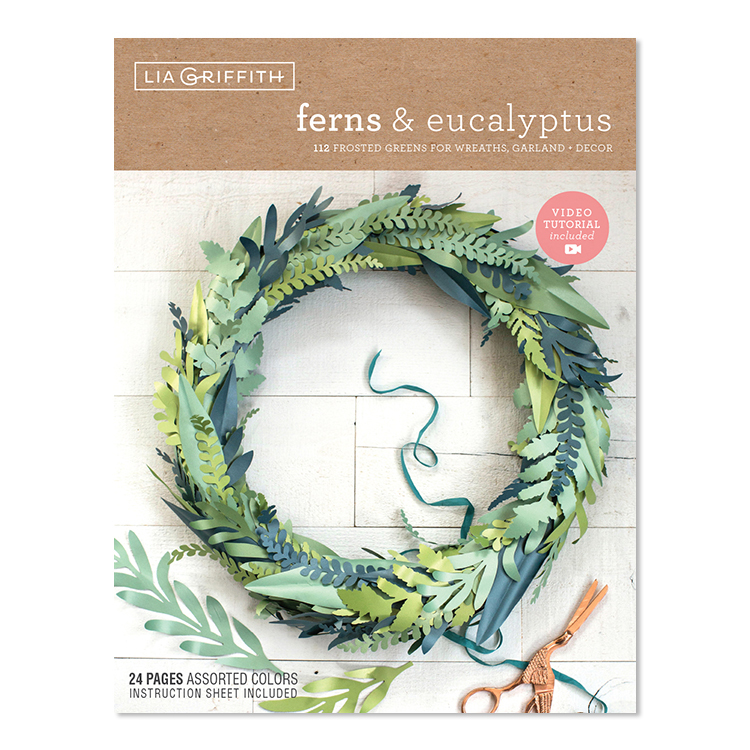 Our frosted paper fern and eucalyptus wreath kit includes 24 die-cut sheets of frosted paper to simplify and speed up your crafting process. Along with the paper pieces you’ll need to assemble your wreath, the kit includes a tools and materials list, written-out instructions, and a link to a video tutorial. 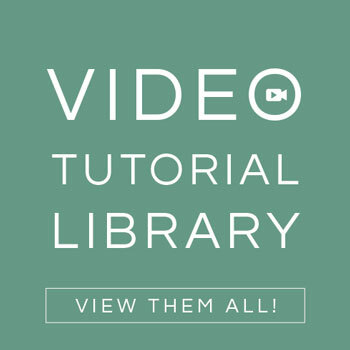 We are sharing the video tutorial here, too. So scroll on down and check it out! 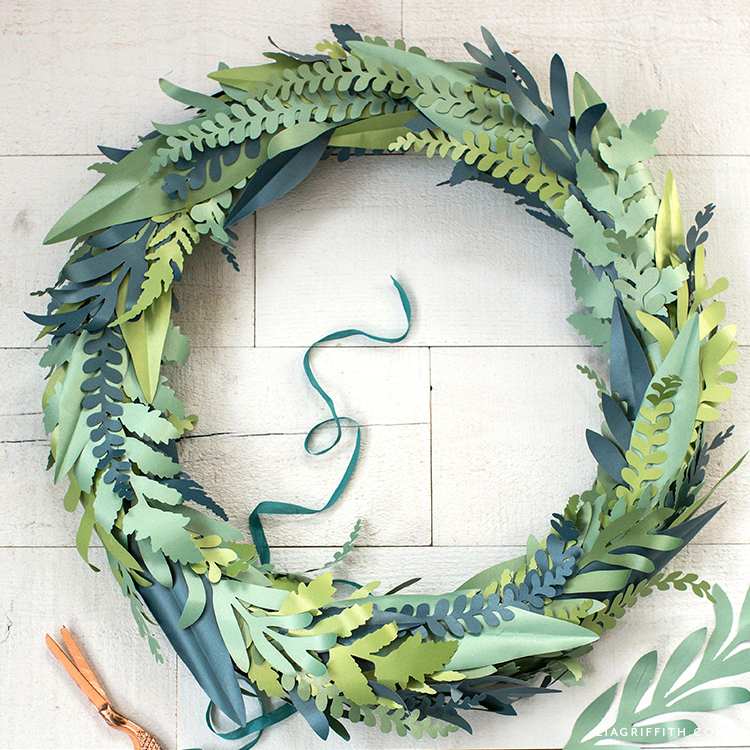 Once you’re done making your paper fern and eucalyptus wreath, you can hang it up anywhere in your home. We personally like to display our handmade wreaths in a few different places, including mantels, walls, doors, bookshelves, and windows. 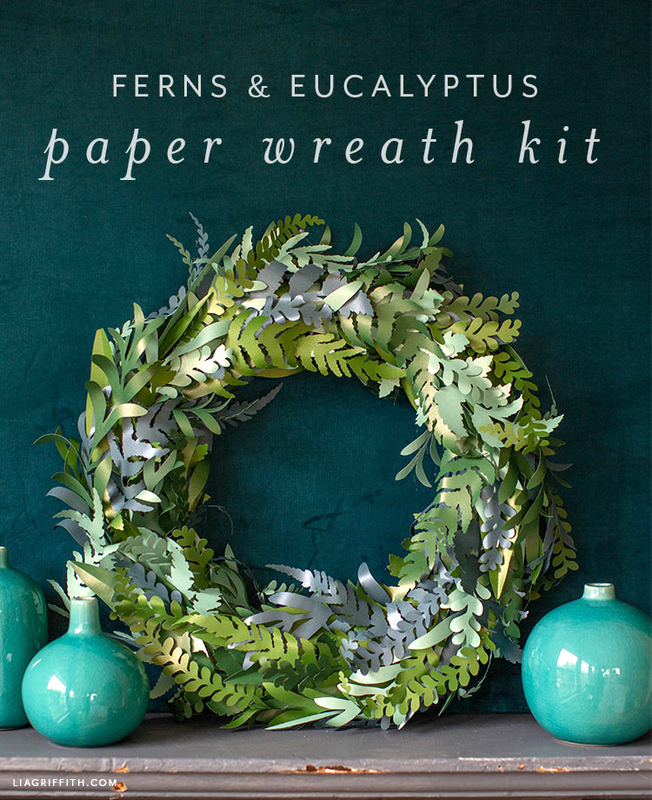 Another idea (if you don’t feel like making a wreath) is to use this kit to create leaves for a paper flower bouquet. Our written-out instructions in the kit include an optional step for this if it’s something you’re interested in! If you have any questions about this kit, just leave us a comment below. 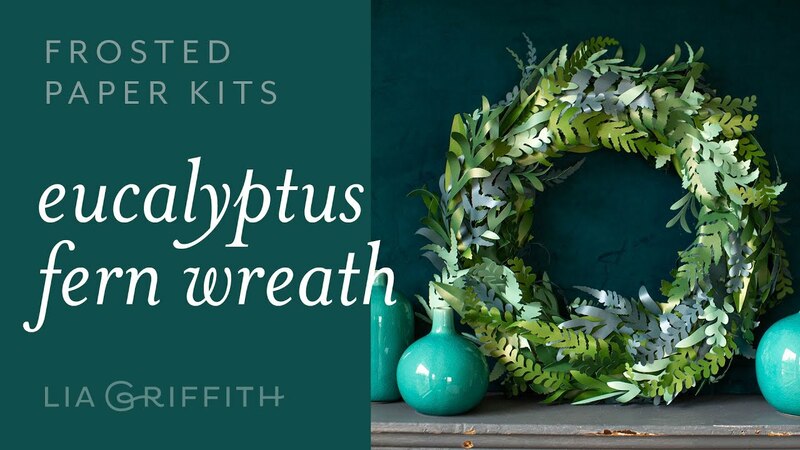 Once you have your frosted paper fern and eucalyptus wreath kit, your wreath form, and your craft tools, follow the step-by-step tutorial included in the kit. Or watch the video below! When you are done crafting your paper wreath, share photos of your finished project with us using the hashtag #MadeWithLia on Facebook or Instagram. Love It!! enjoyed the video and wow! how pretty!! I love all the different types of leaves and color greens, Super easy , just what I like. Hi Lia! This is a lovely kit. Do you know if/when we will be able to get them in Canada? Hi Nicole! They may be available on Amazon CA and Walmart CA, we just haven’t heard for sure what they’ll be carrying and when. In the new fern kit,can the templates also be downloaded? Hi Susan! 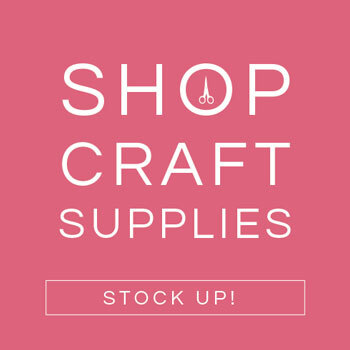 No, these are pre-cut paper kits only. But they’re all inspired by current projects on our site– if you search “Fern” you’ll find a variety of downloadable templates. 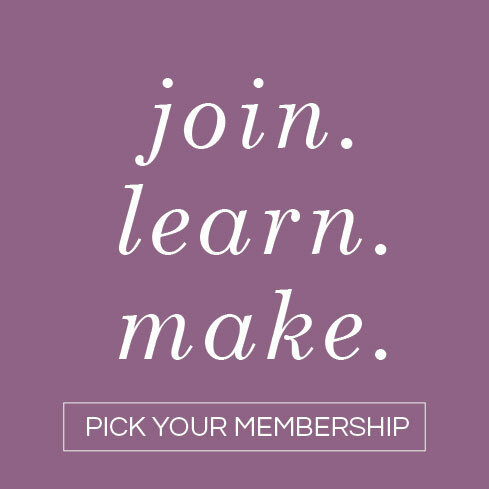 Hi Claudia– under My Craft Room > Account Settings > Subscription > Membership.